To increase aesthetic value of products, lots of manufacturers tend to use graphically designed upper film and/or graphic sticker labels. Our machines are ready to satisfy both methods for better visual embellishment. 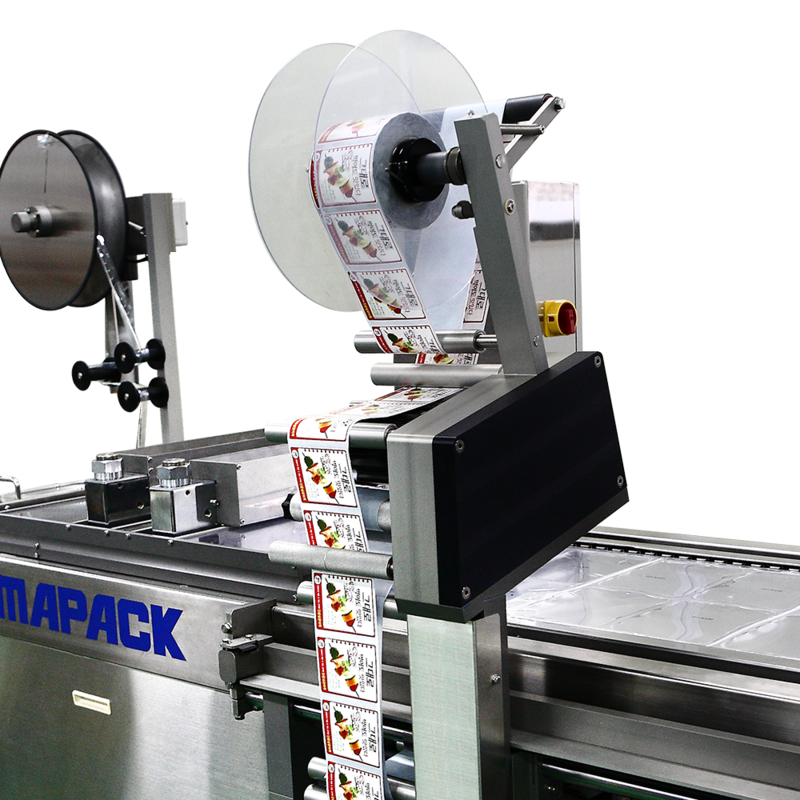 Eyemark system inside will place the printed film on right position to seal your products. 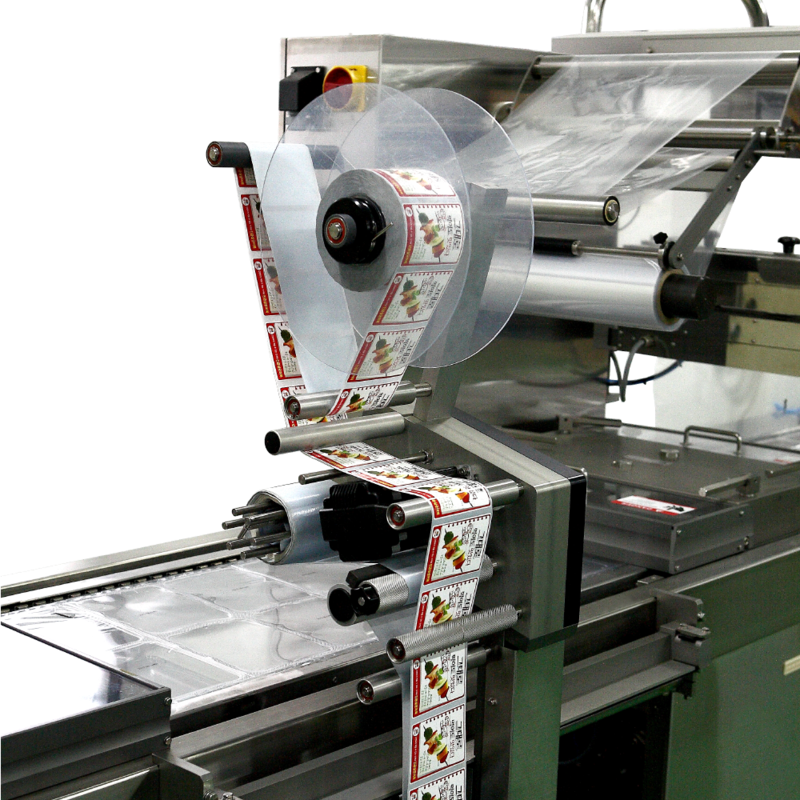 And for sticker labels, “Multi Labeler” can be integrated in the system and controlled by one ‘Touch Screen’ of the main machine. 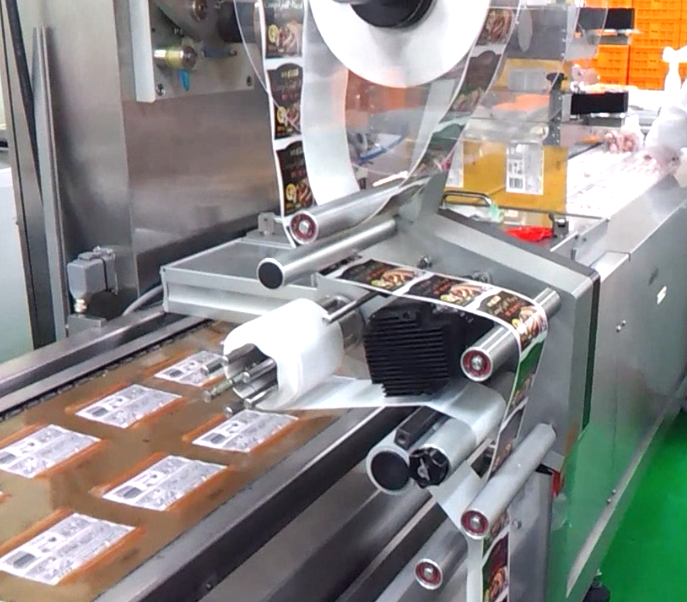 In the unified mechanism, it will attach stickers of customer’s own graphic design in the tempo of packaging progress.